That’s the name of the exhibition (free) on until Dec 13th at the Whitworth Gallery in Manchester. 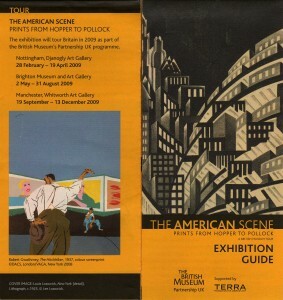 It’s a superb display of the British Museum’s collection (the biggest outside the USA) of American prints. First time at this gallery for me. Very impressed, not least with the Cafe.